IN Malaysia, like many other Commonwealth countries, judges’ decisions form one of the sources of our laws. These decisions, primarily made after interpreting the written laws enacted by parliament and state legislatures, are collectively known to lawyers as case law. Case law then operates by the doctrine of judicial precedent, known loosely to lawyers as stare decisis, which means "stand by the decision". To a lawyer, that part of the decision which is binding and is to be followed is called ratio decidendi, or the reason or rationale for the decision. Therefore, it is more accurate to call the doctrine stare rationibus decidendi which means "stand by the rationes decidendi (plural of ratio decidendi) of decided cases". In simple terms, it means the decisions of higher courts are binding on the courts below them. This makes sense because if a precedent has already been created on a point of law, it is easy for other judges to follow. Hence, the legal maxim, stare decisis et non quieta movere which means "stand by decisions and do not move that which is quiet". In other words, let sleeping dogs lie. But one great British judge, Lord Denning (1899-1999), would not keep quiet about any ratio which was unfair and unjust. Denning sat in the British apex court, the House of Lords, from 1957 to 1962, but thereafter decided to helm the court immediately below it, the Court of Appeal, as its Master of the Rolls. The reason being before 1966, the House of Lords was bound by its own decisions even if they were unjust. To the Law Lords then, it was the job of parliament to correct any injustice caused by past decisions, albeit parliament was not interested in reforming the law. Fed up with often being the dissenting judge in the House of Lords, Denning felt it would do some good to return to the Court of Appeal since not all cases resolved at his court went on appeal to the House of Lords. The good that came out of it was that many of his judgments, though overruled by the House of Lords, were subsequently vindicated and reproduced by parliament into statutes. 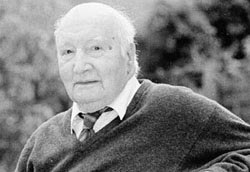 In the Romanes Lecture at the University of Oxford in May 1959 entitled "From Precedent to Precedent", Denning argued that the House of Lords should not be bound by a previous wrong precedent. He added that if lawyers held to their precedents too closely, forgetful of the fundamental principles of truth and justice which they should serve, they might find the whole edifice tumbling down about them, losing themselves, in the words of the poet Lord Tennyson, in "that codeless myriad of precedent, that wilderness of single instances". Denning later wrote in his book The Discipline of Law that: "Let it not be thought from this discourse that I am against the doctrine of precedent. I am not. All that I am against is its too rigid application — a rigidity which insists that a bad precedent must necessarily be followed. I would treat it as you would a path through the woods. You must follow it certainly so as to reach your end. But you must not let the path become too overgrown. You must cut out the dead wood and trim off the side branches; else you will find yourself lost in thickets and brambles. My plea is simply to keep the path to justice clear of obstructions which would impede it." • Denning succeeded in his campaign against rigid application of stare decisis when the Lord Chancellor, Lord Gardiner, finally issued a practice statement in 1966 that the House of Lords could thenceforth depart from its previous decisions, recognising that "too rigid adherence to precedent may lead to injustice in a particular case and also unduly restrict the proper development of the law". • In Cassell & Co Ltd v Broome & Anor (1971), Denning refused to follow a decision of the House of Lords, and when the case went up to the Law Lords, he was severely rebuked by the Lord Chancellor, Lord Hailsham, who wrote: "The fact is, and I hope it will never be necessary to say so again, that, in the hierarchical system of courts which exists in this country, it is necessary for each lower tier, including the Court of Appeal, to accept loyally the decisions of the higher tiers." Here, the most senior Court of Appeal judge, Datuk Gopal Sri Ram, said on July 13 in Au Meng Nam & Anor v Ung Yak Chew & Ors that the controversial 2000 decision of the Federal Court in Adorna Properties v Boonsom Boonyanit should not be followed because it was wrongly decided. This immediately drew a sharp extra-judicial reply from Chief Justice Tun Ahmad Fairuz Sheikh Abdul Halim that the lower courts could not be allowed to ignore the ruling of a superior court just because it felt the higher court had made a wrong decision, "otherwise, every court will not be bound by the Federal Court". Ironically, in Koperasi Rakyat Berhad v Harta Empat Sdn Bhd (2000), Sri Ram, sitting at the Federal Court, made clear the need to observe with rigour the doctrine of stare decisis. He thundered: "In our view, every word of what Lord Hailsham said regarding the status of judgments and relevance of precedent in the House of Lords, the circumstances, the duty of the Court of Appeal to accept loyally the decisions of the House of Lords and the chaotic consequences which would follow should the Court of Appeal fail in this duty apply with full force, mutatis mutandis, to this country and we adopt what his Lordship said. Clearly, the Court of Appeal in Harta Empat flew in the face of the principles enunciated by Lord Hailsham and we can only express the hope that it will not be necessary for the Federal Court hereafter to have to remind the Court of Appeal of those principles." Then, in an admonitory judgment delivered last June, the Federal Court castigated the Court of Appeal for not conforming to stare decisis. The then Chief Judge of Sabah and Sarawak, Tan Sri Steve Shim, sitting with Tan Sri Siti Norma Yaakob and Datuk Abdul Hamid Mohamad, in the case of Datuk Tan Heng Chew v Tan Kim Hor, said it was axiomatic that stare decisis had become the cornerstone of the common law system practised in this country. He added that the doctrine had attained the status of immutability, and failure to observe it would create chaos and misapprehensions in the judicial system. Hamid went on to say that if the Court of Appeal thought that it had good reasons for disagreeing with the Federal Court, it may, while following the latter’s judgments, point out why they should be reviewed by the apex court, but the review, if it were to be done, should be done only by the apex court. The same sentiments were expressed more recently by Datuk Augustine Paul in Fawziah Holdings Sdn Bhd v Metramac Corporation Sdn Bhd (2006). Coming back to the Adorna case, Sri Ram argued that the Court of Appeal could ignore it because it was decided per incuriam — an exception to the doctrine often adopted by Denning — which meant the judgment was made through want of care, without reference to, or in ignorance, or forgetfulness of a statutory provision or an earlier judgment. This happened in R v Northumberland Compensation Appeal Tribunal ex-parte Shaw (1951) when Lord Chief Justice Goddard, sitting as a High Court judge, decided not to follow a Court of Appeal judgment because a relevant House of Lords’ decision was not cited in that judgment. According to Sri Ram, Tun Eusoff Chin’s four-page judgment had overlooked at least two authorities which held otherwise — the High Court’s decision in Mohammad bin Buyong v Pemungut Hasil Tanah Gombak & Ors (1982) and the Supreme Court’s decision in M & J Frozen Food Sdn Bhd & Anor v Siland Sdn Bhd & Anor (1994), and Section 5 of the National Land Code. It follows that whether Sri Ram was correct to rely on this exception is a matter for the Federal Court to decide upon appeal, if any. However, it must be stressed that Adorna was re-affirmed by a separate panel of the Federal Court in 2004. The Bar Council is, therefore, of the view that the government must intervene to legislatively reverse Adorna which ruled that a forger could transfer a real property to a bona fide purchaser without notice of the forgery. This decision has not only "wreaked havoc" for the last six years, but has also put every landowner at risk of losing his property to fraudsters. This is one unfortunate case where the wheels of justice are grinding too slowly. At the moment, any proprietor who intends to set aside a forged transfer must first set aside enough funds to take the case all the way to the Federal Court because, unlike in the United Kingdom, we do not have a procedure for a case to leap-frog from the High Court to the Federal Court, bypassing the Court of Appeal, where it involves a point of general public importance such as this. A fortiori, the proprietor must also prove that the purchaser is not a bona fide purchaser and has knowledge of the forgery. In fact, asking parliament to intervene is nothing new. Parliament has done it before. For example, in January 1997, the government acted rather swiftly by amending Sections 173(f) and 180 of the Criminal Procedure Code after a strong seven-member panel of the Federal Court, headed by Eusoff Chin, decided six months earlier in July 1996 in Arulpragasan Sandaraju v PP not to follow the Privy Council’s decision in Haw Tua Tau v PP (1981) and the Supreme Court’s decision in Tan Boon Kean v PP (1995), holding that at the close of the prosecution’s case, the court could only call for a defence if the prosecution had proved its case beyond a reasonable doubt. Last Tuesday, the Bar Council handed a memorandum to Natural Resources and Environment Minister Datuk Seri Adzmi Khalid urging the government to amend Section 340 of the National Land Code and correct this injustice perpetuated by Adorna for the last six years. It is hoped that the minister will do the needful as soon as possible, rather than waiting for stare decisis to save the day. This article was published in the New Sunday Times on 29 July 2007.